Looking to get your contractors license in New Mexico? Construction Seminars offers proven test prep for license exams, plus continuing education & business services for contractors. How does the licensing process work in New Mexico? 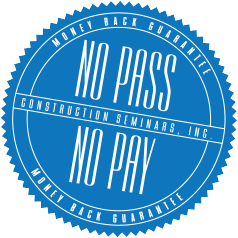 At Construction Seminars, we are so sure that we can help you get your NM license that we offer a No Pass No Pay GUARANTEE. If you are looking for help with your GB, MM, GF, GS, or GA license, we can help you make it happen. Take your trade to the next level with professional assistance every step of the way. We can assist with your application, preparing for the test, corporation filing, all the way through to the final licensing paperwork and bonding. "Thank you for helping me pass my GB98 and GB02 qualifying exams! As someone from out of state, your service was invaluable in getting our license for NM." "I was dreading the process of testing for this exam. But the instruction and encouragement from your staff not only prepared me well for the process, but also alleviated my anxiety." "Thanks so much for heping our company get a contracting license in New Mexico." "The whole staff has a true passion and dedication to making sure every student understands the process of obtaining the license, and answering every question needed to pass." "I got a 91% on the commercial. You guys were fantastic to work with. The prep class was a game changer for me for sure. I have nothing but good things to say about my experience." Construction Seminars has been assisting contractors and journeymen with obtaining their licenses for over 20 years. By providing the best preparation for state exams and the fastest licensing in the industry, we have become New Mexico's number one source for licensing. 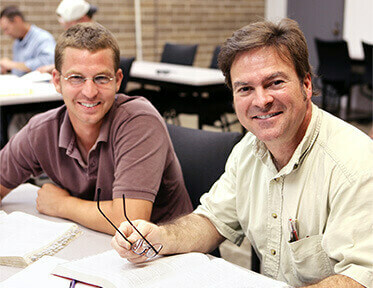 We also offer continuing education for mechanical, plumbing, and electrical contractors. In addition to the best test prep in the southwest, we also assist with bonding, business formation, and licensing paperwork assistance.